Veronica's here: We've Got Mail! On Heliotrope we have THE BEST carrier of all. When you live in a close knit 'hood like ours, where there is for the most part two homes on a lot with whole and half addresses... you would THINK everyone would get the right mail. 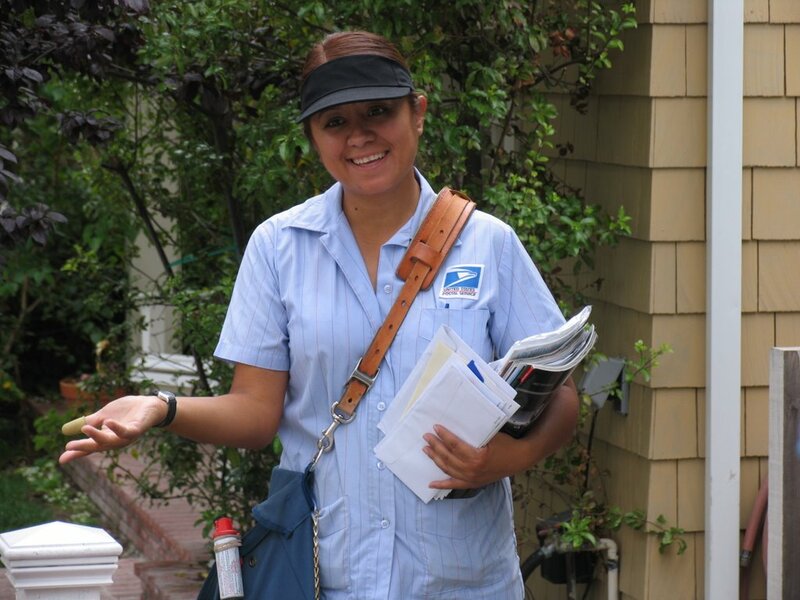 Well, we only get the right mail when Veronica is working...because she CARES about the people on her route - and if you're lucky, she stops a moment to say hello and ask you about your day. WHOA...time warp....just like when I was growing up in the 1950's and people talked to one another!!! Kimber and I have called the main post office several times...to let them know what an excellent employee she is...we all complain when things are wrong...but please, don't forget to call when things are right. Don't take THE EVERYDAY PEOPLE in your lives for granted. We love ya Veronica --- and we appreciate you! I am jealous, I would love to have a postal carrier that cares. Mine leaves mail in "whoevers" box...as long as he gets the right street he is happy.